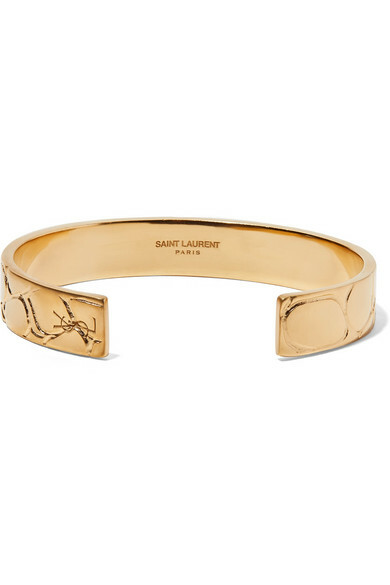 Saint Laurent's cuff is the latest addition to its range of glossy, croc-effect accessories. 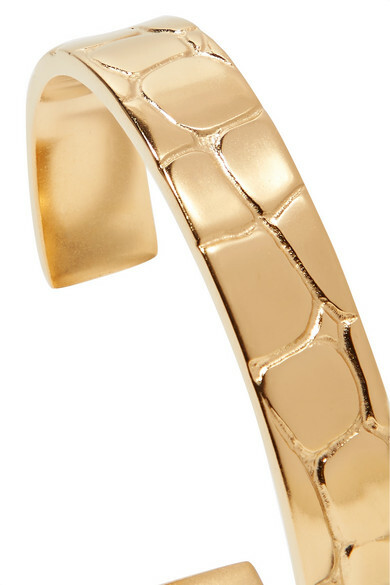 This piece is cast from polished gold-tone brass and discreetly detailed with the house's 'YSL' logo on one end. Show it off with rolled up sleeves. Shown here with: Saint Laurent Blouse, Saint Laurent Earrings.